Propane prices will decrease by 0.8 cpl for Irving Energy Distribution and Marketing, by 1.5 cpl for Superior Propane and by 1.4 cpl for Kenmac Energy Inc. Including taxes and carbon levies, pump prices for regular unleaded gasoline at self-serve outlets will now range from 119.8 cpl to 121.0 cpl. Pump prices for diesel will now range from 132.5 cpl to 133.6 cpl. 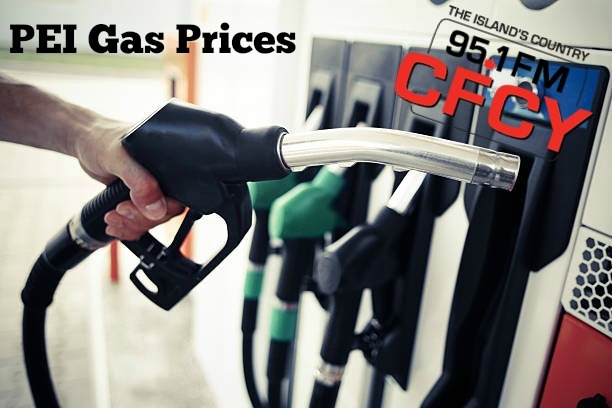 Maximum before tax propane prices will now range from 77.8 cpl to 78.9 cpl and the maximum price including HST of 5% for furnace oil will continue to be 99.8 cpl. 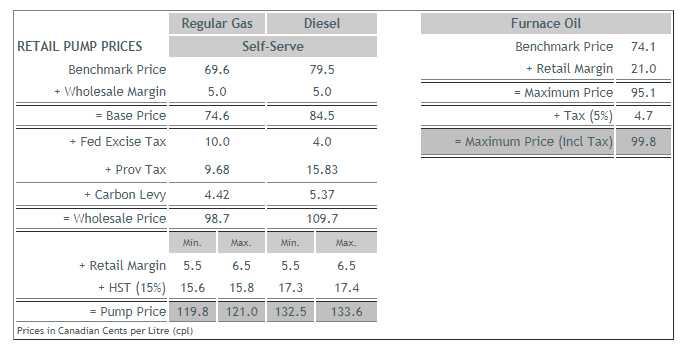 ** gas prices in Market Comparison based on average pump price according to GasBuddy.com except PEI prices which are based on the above press release from IRAC.